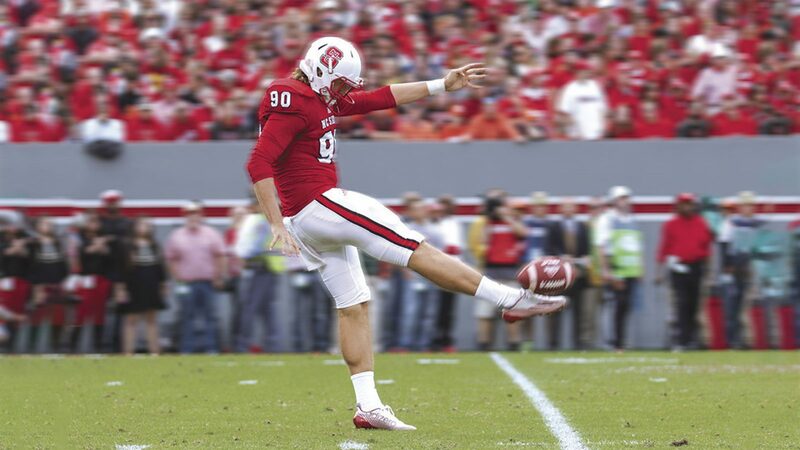 On the field, Cole enters his senior year as the third-best punter in NC State’s history. Off the field, he has visited Kenya over the past five years to assist children in need. With the 2018 football season just weeks away from kickoff, it’s clear that many players will stand out for their performances. However, there is one player that NC State fans may have overlooked for his contributions on and off the field. NC State senior punter A.J. Cole III has been starting for the Wolfpack since his freshman year and has helped lead his team to multiple victories. When the offense slows down, Cole enters into a battle of limiting field position for the opposing team. With his final season quickly approaching, that’s exactly what Cole wants to focus on to further assist the Wolfpack. Cole’s performance on the field is notable, as he currently holds the third-best overall punting average in NC State history at 43.7 yards per kick. As for Cole’s work off the field, the punter has visited Kenya the past five years to assist children in need. His missionary work has not only touched the hearts of the Kenyan children, but also those of his coaches and teammates. The senior recognizes that this will be his final round as a college football player, and wants to focus on how he can further influence those around him. NC State head football coach Dave Doeren has thought highly of Cole since his first day on the scene, as both an individual and a punter. Both on and off the field, Cole exudes dedication and work ethic. Cole’s leadership on the field has not gone unnoticed. His ability to be a positive influence on his teammates in game day situations is what the coaches recognize the most. Graduate kicker Kyle Bambard has been a part of Cole’s life for his entire collegiate career and believes his influence as a positive role model is undoubtedly the best on the team. With many hours spent in the books studying industrial engineering, Cole has options after graduation.